Good Source of Vitamin B6: Yam is a good source of Vitamin B6 which is needed by the body to break down a substance called homocysteine, which can damage blood vessels walls Having a good supply of Vitamin B6 in the body is believed to reduce the risk of developing heart diseases. Supports Female Endocrine System: Yam is particularly useful for menopausal women. It contains an enzyme that provides a natural alternative to hormonal replacement in women who have reached menopause. Cancer Deterrent: Yam can also be viewed as a cancer deterrent especially of colon cancer. The dietary fibre in this tuber prevents colon cancer by preventing toxic compounds in the food from adhering to the colon mucosa. Vitamin A in Yam provides protection from lung and oral cavity cancer. Source of Energy & Antioxidant: Being high in fibre, yam keeps you full without putting on those extra kilos. Yams are also a good source of manganese, a mineral that aids carbohydrates metabolism and is very important for energy production and antioxidant defences. Helps in RBC Production & Improves Blood Flow: Copper present in yam, is very useful for the production of red blood cells and improves blood flow in the body. Iron further improves the blood circulation in the body. Manganese is used by the body as a co-factor for the antioxidant enzyme, superoxide dismutase. Delays Ageing Signs: Yam has amazing anti-ageing benefits. It contains amazing skin-friendly nutrients like beta carotene, Vitamin C, Vitamin B6 and antioxidants which can help to prevent wrinkles and other signs of ageing. 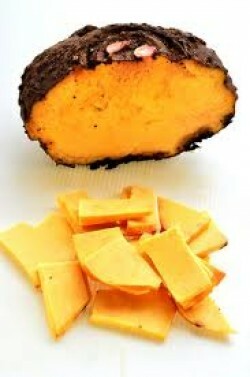 Prevents Premature Hair Greying: Yam will also prevent premature greying as it contains a good amount of Vitamin B6 which creates melanin and gives the hair its colour. Promotes Blood Circulation in the Scalp: Iron in yam helps the red blood cells to carry oxygen and promote blood circulation in the scalp. Thus, regular consumption of yam will prevent hair loss and will promote hair growth.